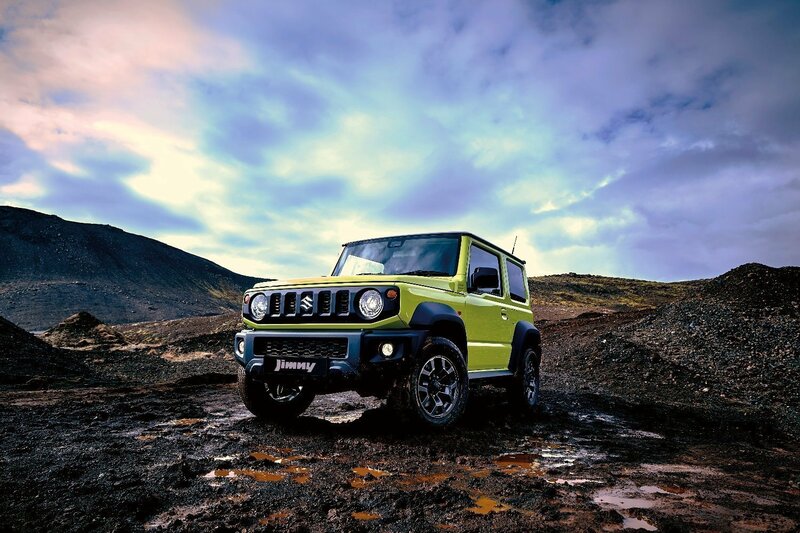 TURN back the clock to 1970, back when Japanese car maker Suzuki graced us with an incredibly rugged mountain climbing off roader known simply as the LJ10, or as we now know it, the Jimny. A basic low cost 4×4 with a tonne of attitude. Fast forward nearly 50 years and some 2.8 million Suzuki 4WDs sold across 191 countries later, and that little pint sized off roader is back with a vengeance, following today’s Australian launch of the 2019 Suzuki Jimny. 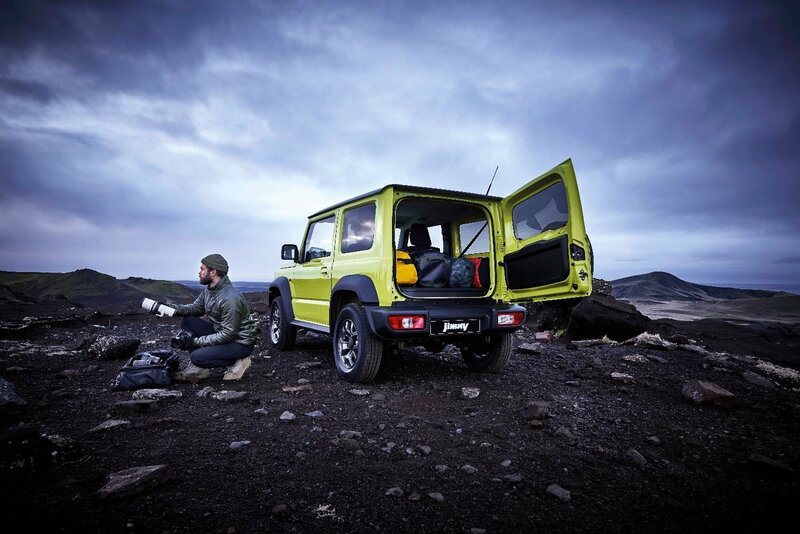 Highly anticipated and some five long years in development, the pure off roader remains small and lightweight, having undergone a major face lift to enter its fourth generation, bringing with it a host of technological enhancements. 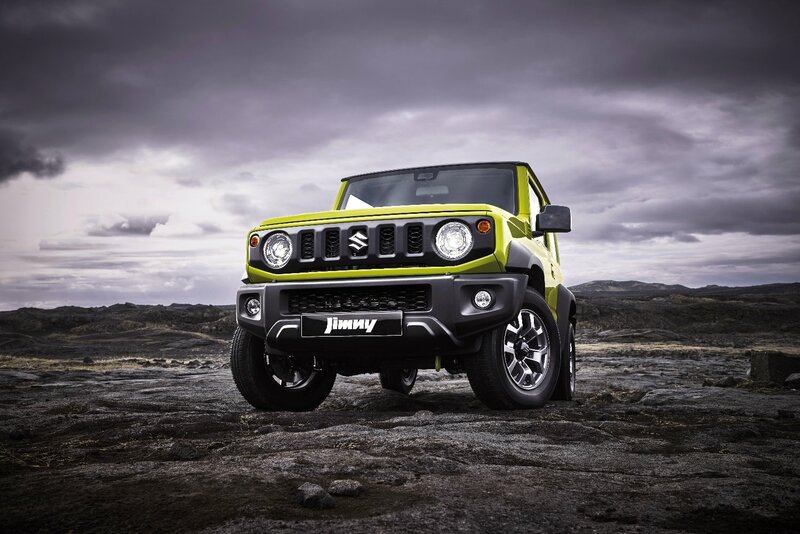 The new look Jimny oozes heritage, borrowing design hints from the LJ10, the original 1970s Jimny (round headlights), and featuring a seven slotted front grille inspired by the generation three version (1998-2017). You’ll also find the Jimny features tail lights and a bonnet design that feel like they’ve been cut straight from the Sierra we grew to love from 1981 to 1998. It looks like a bucket load of fun to drive, and that’s because it is. Suzuki have kept the front live axle, which makes it one of the only 4WDs on the market that doesn’t have CV shafts, giving it incredible off road ability. 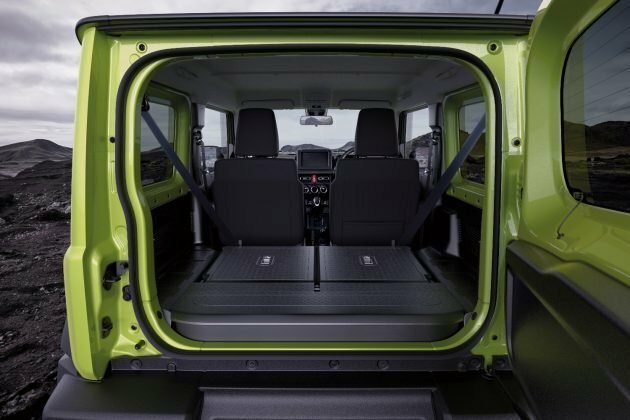 The brand new chassis on which the 2019 Jimny rides is all new too. The ladder frame is made from zinc coated steel and features two new cross members, as well as an x-member making it much more rigid than previous models and providing extra reinforcement. Three-link rear suspension and a slight reduction in overall length, while keeping the wheel base from the previous incarnation, means improved approach and departure angles, which only adds to an overall upgrade to the driving experience. The engine has been upgraded to a 1.5-litre petrol motor punching out 75kW of power and 130Nm of torque, paired to either a 5-speed manual gearbox or a 4-speed automatic gearbox. Fuel economy sits at 6.4-litres/100km for the manual and 6.9-litres/100km for the auto. We’ve got to say, driving the new Jimny is a breeze. The clutch is light, nothing feels forced and thanks to front and rear limited slip diffs, it feels mighty stable. A lever, styled on the lever from the original model, in the centre of the console lets you switch between 2WD and 4WD high and low. 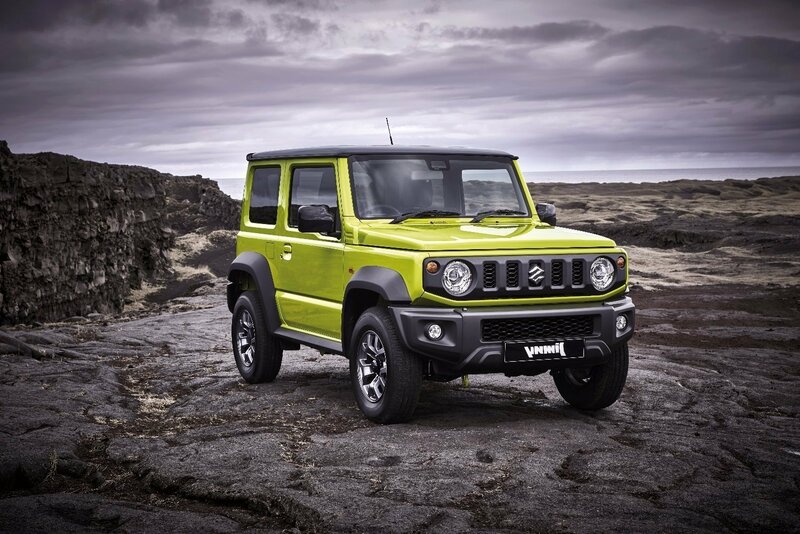 The Jimny features a new version of the ALLGRIP four-wheel drive system, now called ALLGRIP PRO. The proven system utilises the LSD and traction control system to automatically apply the brakes to prevent slipping, while redistributing torque to allow the vehicle to regain traction. It’s just one of the many safety features found in the new Jimny. You’ll also find autonomous emergency braking, lane departure warning, weaving alert, electronic stability control, six airbags, high beam assist, hill hold assist, cruise control, power windows, daytime running lights, fog lights, and auto LED headlights. Inside, the dash cluster feels justs like a modern version of the Sierra from the 1980s and 90s, with two square modules and two circle gauges, featuring that orange tachometer and speedo writing. 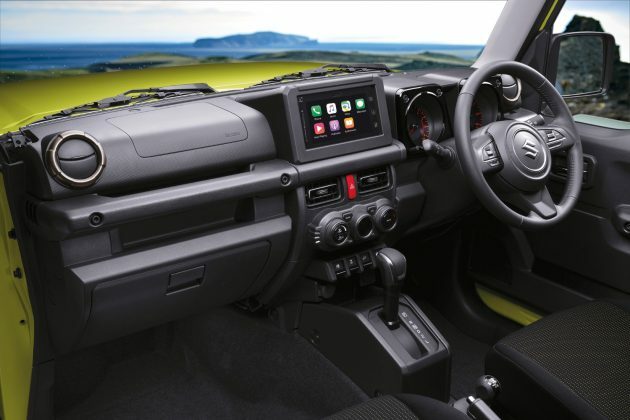 Moving on to the centre console and you notice a 7-inch soft touch screen controlling the radio, SatNav, reversing camera and streaming facilities. It’s just below the screen you’ll find climate controls that are simple and easy to use. At the base of the centre console are a bank of four switches, controlling the passenger side window control, traction control, hill decent assist and finally, the drivers side window. The 2019 Suzuki Jimny comes in six different colours, including Superior White, Medium Grey, Jungle Green, Chiffon Ivory Metallic, Brisk Blue and Kinetic Yellow (the last three of these featuring a bluish-black pearl roof). 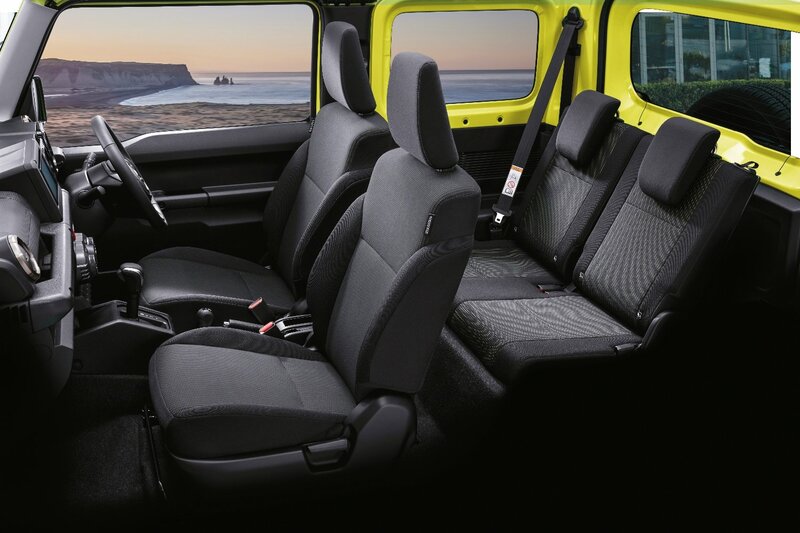 Australian vehicle safety authority ANCAP awarded the 2019 Suzuki Jimny a 3-star safety rating as a result of a number of issues in the frontal offset test including excessive deformation of the passenger compartment. Penalties were applied for loss of structural integrity, steering wheel and pedal intrusion and knee injury risk. Insufficient inflation of the driver’s airbag was also observed with the dummy contacting the steering wheel through the airbag. Performance of the Jimny’s autonomous emergency braking (AEB) system was also foudn to be limited, with no cyclist detection or night-time functionality. Weak performance was observed for its avoidance of pedestrians, and active lane keep assistance is not available. Pricing will be released at midnight tonight. The prices you provided are the list price, not the drive away price. Nope, they’re the drive away prices supplied directly to us by Suzuki Australia, in writing.